This is part two in a series about the Grand Rapids Housing Rehabilitation and Grant Program. Part one told of Sharon Zils' broken furnace that led to her interest in the program. This installment talks about the application process. What can I say? Thanks to a new 99% efficiency furnace, vinyl replacement windows and a new insulated steel front door, the score now stands. Me: one. Winter: zero. What a difference all these improvements to my 1920s built house have made from the previous decade of winters. My gas bills have been below $100 per month, and I can keep my thermostat set at a comfortable 66-68 degrees. 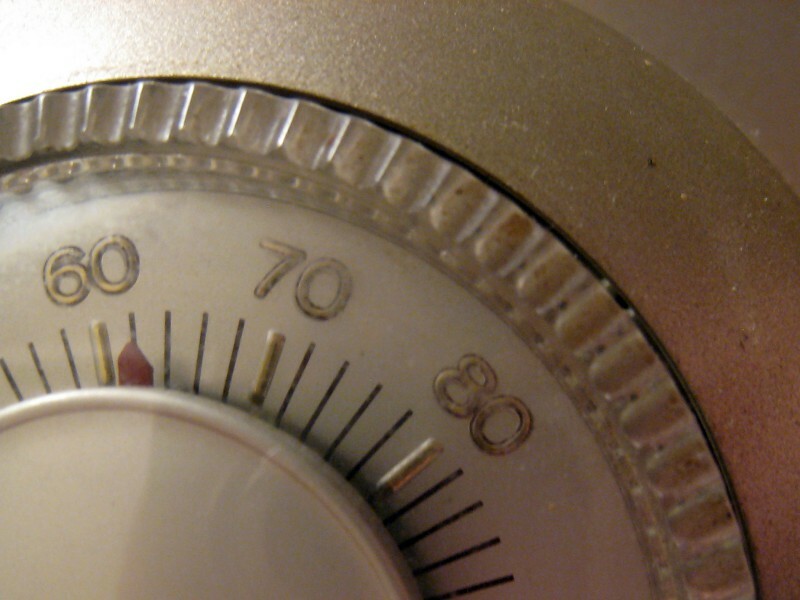 I won’t have to endure that old, round dial thermostat that I never remembered to turn down. And I could never set it above 60-63 degrees because I couldn’t afford the heat to keep it warmer. However, as everyone knows by experience, TV shows or family lore, no home improvement project is ever without problems. Even the best formulated plans are subject to unforeseen complications and the contractor on my job was no exception. But, I’m getting ahead of myself. Let’s go back to the beginning of this process. As was mentioned last issue, at the end of the article detailing the beginning of my furnace saga was this web address. It was there I found out how and where to apply for this loan. Yes, sadly, it is a loan. Not “free” money. The application is long and detailed, but don’t let that discourage you. After my furnace failed on May 11 I had a heating and cooling contractor give me an estimate for replacement that was far more than I was able to afford. Besides death and taxes, the other sure thing for residents in Michigan is winter. Yes, it was only May, but in the summer months that were to follow, I knew that I wouldn’t be able to save enough to have a new furnace installed in time and still stay current on monthly bills, plus eat…regularly. I’ve always done my own taxes, and the application process was no different. Just be careful to read everything. Two or three times, if necessary. And take this opportunity to organize your personal files. You know you’ve been putting it off for too long. If you miss something it will delay the processing of your application. Proofread what you write in the spaces. I submitted my application in person on May 30 of last year. Then the wait began. I’m not a patient person. I want things done…yesterday! But that’s not how things work in the real world. So I put the application out of my mind and concentrated on living, and being grateful that this fiasco hadn’t happened in September. The letter was dated June 21. My application had been approved. Hallelujah! Finally! The rock is starting to roll. On July 2, Lisa and I had an appointment for her to inspect and discuss my needed repairs. Let the fun begin! Over the course of the next few months, Lisa and I became BFFs. She guided me through the long process and gave me invaluable advice. The next step in the process was a Lead Paint Risk Assessment/Inspection. That happened on July 18. It is contracted out to companies who specialize in that field. Mine was assigned to Analytical Testing & Consulting Services, Inc. out of Plainwell. And the tests were done by a very nice young man by the name of Nathan. It took most of an eight hour work day, but it is well worth it. Most homes and apartment buildings in Grand Rapids built before 1978 still have lead-based paint somewhere. It’s an arduous process to permanently remove lead paint hazards but well worth it in the long run. The inspection showed that most of the lead pant in my home was exterior. I had decided to go for broke and get new replacement windows in addition to the furnace. The new windows and the trim would cover most of the lead paint. So far, so good. The garage was an issue, so I was to have a new garage door too. I was so excited. Finally, some of these looming, major home repairs would be done. And this all was possible because my furnace died. Next issue, you’ll find out how the contractor is chosen, how long it takes to start and finish the job, how repayment of the loan happens and why I called.